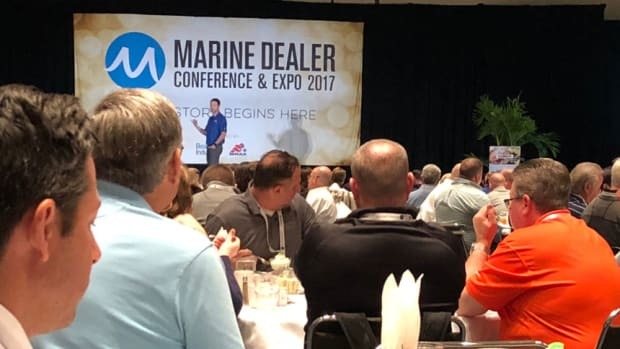 The Marine Dealer Conference & Expo is the Marine Retailers Association of the Americas’ annual conference and member meeting. 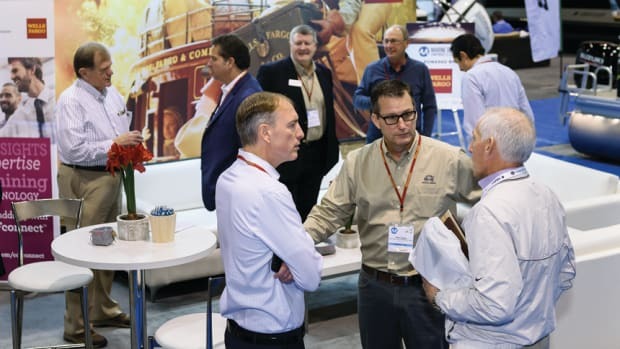 The MDCE is the marine industry’s only dealer-specific educational conference; the fall event offers educational topics, an expo hall and networking opportunities. 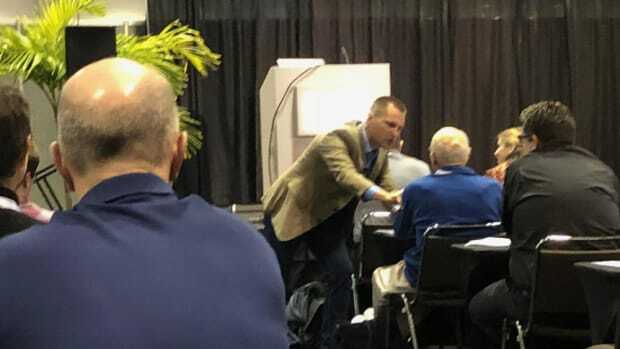 MRAA applauds Dammrich and other “friends” of the dealer association. 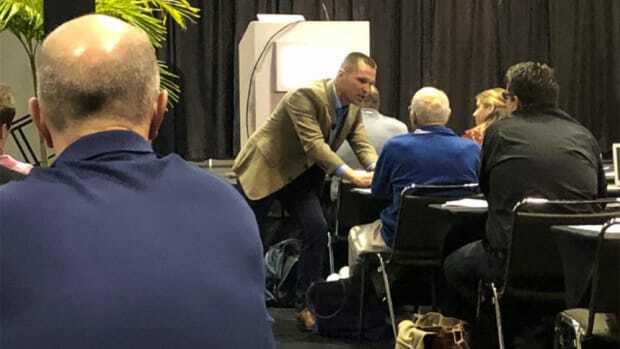 MDCE speakers look at new approaches to dealership challenges. 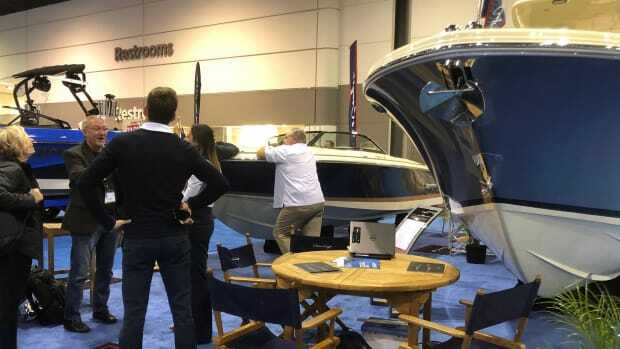 Exhibitors have different goals for attending the dealer conference. 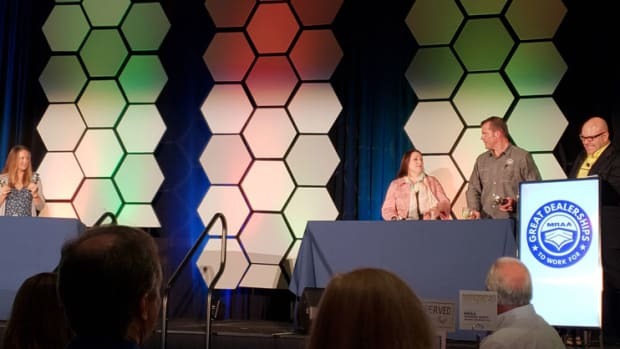 MRAA’s awards night included moving speeches, comedy and an industry game show. December’s Marine Dealer Conference and Expo will be the last produced by MRAA and Boating Industry magazine. Recipients will be selected in early November. 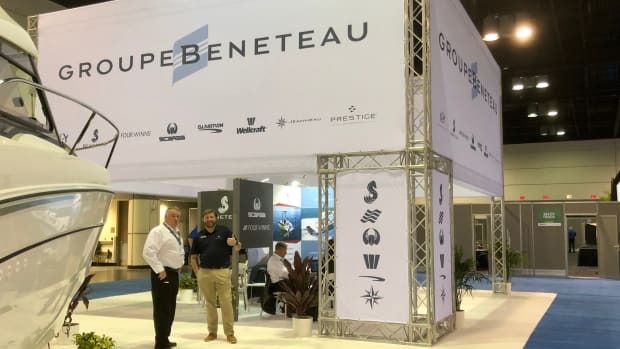 Marine Retailers Association of the Americas and Boating Industry have agreed to end their partnership that directed the Marine Dealer Conference and Exhibition after a decade of co-producing the event. 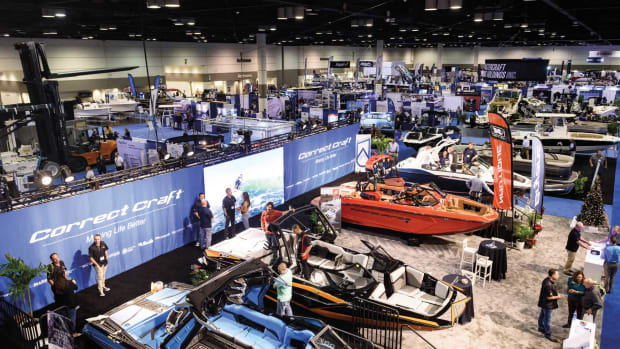 Dealer registration for the 2018 Marine Dealer Conference and Expo, which runs Dec. 9-12 in Orlando, Fla., is open, offering discounts for those who sign up this month. 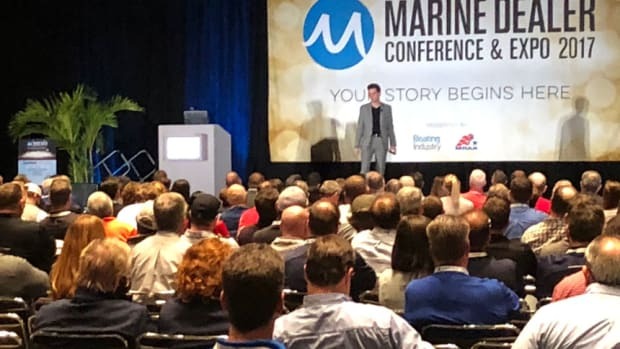 Organizers of the Marine Dealer Conference & Expo are seeking educational-session proposals from potential speakers for the 2018 conference that will take place Dec. 9-12 in Orlando, Fla. 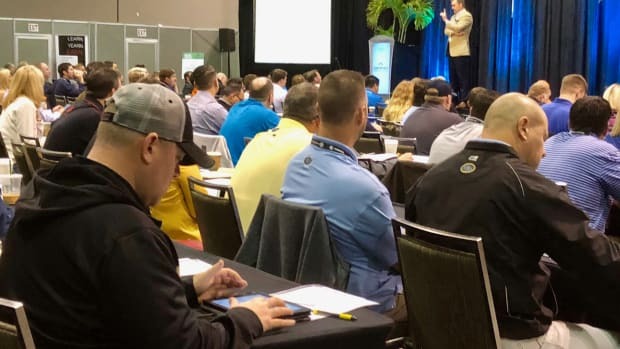 The Marine Dealer Conference & Expo this past December had recurring themes, and they weren’t sugarcoated: Workforce shortages desperately need to be addressed, and boat dealers must embrace a retail landscape that has completely changed from the one that existed just five years ago. 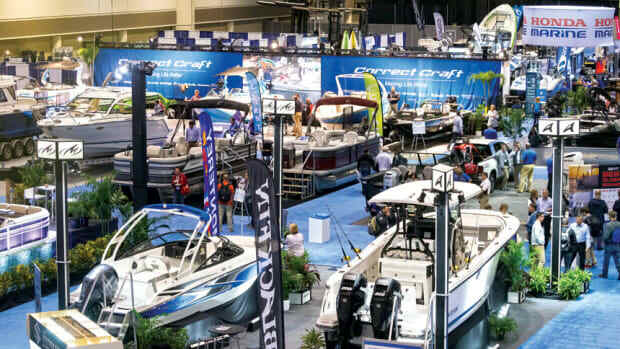 Health care costs have been one of the biggest challenges for boat dealers, making it difficult to retain workers. The No. 1 reason people leave their job has nothing to do with money. 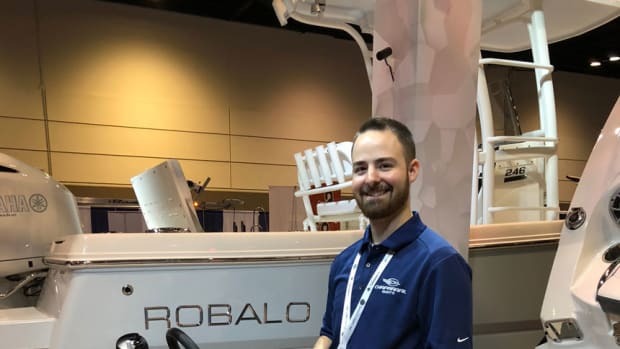 When Marcus Sheridan’s business tanked along with the economy, his fiberglass pool company was on the brink of bankruptcy. So he decided to start to answer customers’ questions on his website. 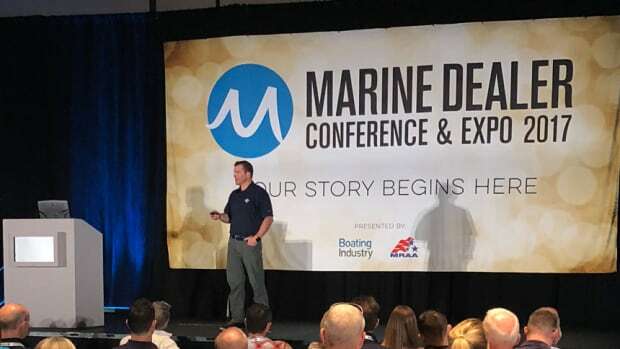 Some speakers at the Marine Dealer Conference and Expo seemed to have at least one common thread, regardless of the subject matter. Tim Sanders remembers pitching Blockbuster on digitizing the company’s business. Netflix had recently emerged as a competitor, but Blockbuster executives were unconcerned, thinking it was a passing fad. 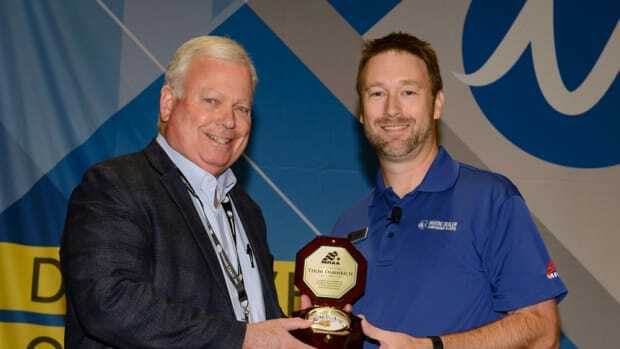 The Marine Retailers Association of the Americas’ Educational Foundation presented four scholarships on Sunday evening during the organization’s Opening Night Awards Celebration at the Rosen Centre Hotel in Orlando, Fla.
Wanda Kenton Smith, chief marketing officer of Freedom Boat Club and president of Marine Marketers of America, won the Darlene Briggs Woman of the Year Award at the Marine Dealer Conference and Expo. 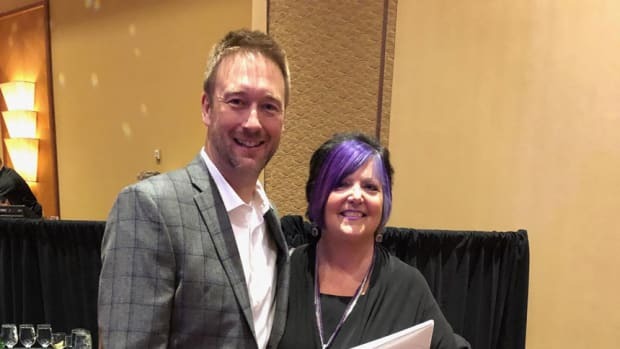 Krissy Vaughn, bookkeeper of Fay’s Marina Inc. in La Porte, Ind., is the recipient of the 2017 Kevin Lodder Scholarship.